A very big Thank You to the Saints Ladies Darts League. 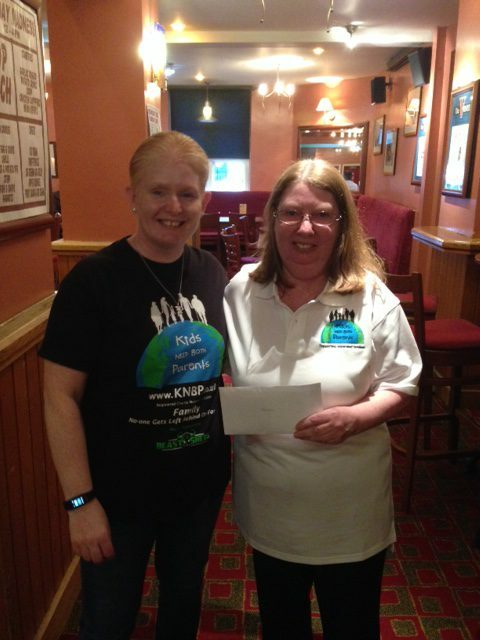 Gill is presenting a cheque to Sharon for £175 raised through charity darts matches. Thank you very much for supporting Kids Need Both Parents with your generous donation. Please do pass on our thanks to all those who contributed to raising these funds. This will go towards helping separated families who have suffered bereavement, long-term illness and family breakdown. The money you have raised is very gratefully received. Thank you very much for your contribution.